The following list of candies are free of peanuts, tree nuts, dairy, egg, soy, wheat, fish and shellfish. Amanda’s Own: Halloween chocolates, chocolate bars with Halloween wrappers and chocolate lollipops in Halloween shapes. Free2B: Sun Cups, Caramel Cups and Mint Cups in dark or rice chocolate. There are many more and we incourage you to check out kidswithfoodallergies.org for the complete list. 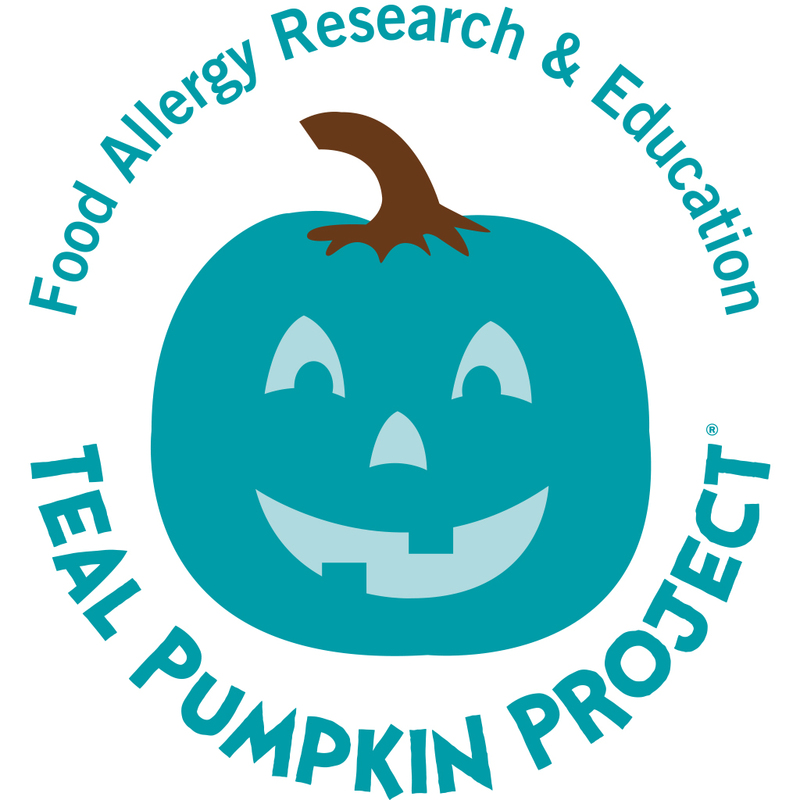 If you would like more information on the Teal Pumpkin Project check the FARE (Food Allergy Research & Education) wesite.